If you have ever seen the standup comedy of Eddie Izzard you know that his humor is rambling, sometimes nonsensical, monologues. His autobiography is no different. In fact if you listen to the audiobook you’ll be treated to endless footnotes that tend to ramble off subject giving the listener even more insights to the life of Eddie Izzard than would someone just reading the book because Eddie reads the audiobook and gets sidetracked. Find out how his humor developed, how he managed to get into standup and acting and then how that lead to him becoming a political activist, and be sidetracked throughout. Critically acclaimed, award-winning British comedian and actor Eddie Izzard details his childhood, his first performances on the streets of London, his ascent to worldwide success on stage and screen, and his comedy shows, which have won over audiences around the world. Over the course of a 30-year career, Eddie Izzard has proven himself to be a creative chameleon, inhabiting the stage and film and television screens with an unbelievable fervor. Born in Yemen and raised in Ireland, Wales, and postwar England, he lost his mother at the age of six. In his teens he dropped out of university and took to the streets of London as part of a two-man escape act; when his partner went on vacation, Izzard kept busy by inventing a one-man act, and thus a career was ignited. As a stand-up comedian, Izzard has captivated audiences with his surreal, stream-of-consciousness comedy – lines such as “cake or death?” “Death Star canteen”, and “do you have a flag?” have the status of great rock lyrics. As a self-proclaimed “executive transvestite”, Izzard broke the mold performing in full makeup and heels and has become as famous for his advocacy for LGBT rights as he has for his art. In Believe Me, he recounts the dizzying rise he made from street busking to London’s West End to Wembley Stadium and New York’s Madison Square Garden. Still performing more than 100 shows a year – thus far in a record-breaking 28 countries worldwide – Izzard is arguably one of today’s top kings of comedy. With his brand of keenly intelligent humor that ranges from world history to pop culture, politics, and philosophy, he has built an extraordinary fan base that transcends age, gender, and race. Writing with the same candor and razor-sharp insight evident in his comedy, he reflects on a childhood marked by unutterable loss, sexuality and coming out, as well as a life in show business, politics, and philanthropy. Honest and generous, Izzard’s Believe Me is an inspired account of a very singular life thus far. I have always loved old radio programs. When I was a kid I would take my little transistor radio to bed and tune the AM dial around until I heard a station out of Tennessee that would play radio dramas every Friday and Saturday night. Most of the time they were horror or suspense stories which is what would keep my pre-teen attention. Little did I know, that it was also what would plant the seed that lead to a 30+ (so far) career in radio broadcasting. I’m not sure when radio dramas stopped being a thing, I really wish they would bring them back. The theater of the mind from radio is why I do what I do. 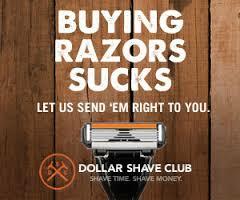 When I write commercials my first focus is to create a audibly visual landscape. But that being said the days of the true radio performances happened in the golden age of radio, approx 1920 – 1950. The entertainment ranged from suspense, drama (especially soap operas), comedy, and variety shows and would keep people entertained for hours. Alas, those days are pretty much over. But thanks to Hollywood 360 / Black Eye Entertainment / Blackstone Audio we can now enjoy those golden age programs. 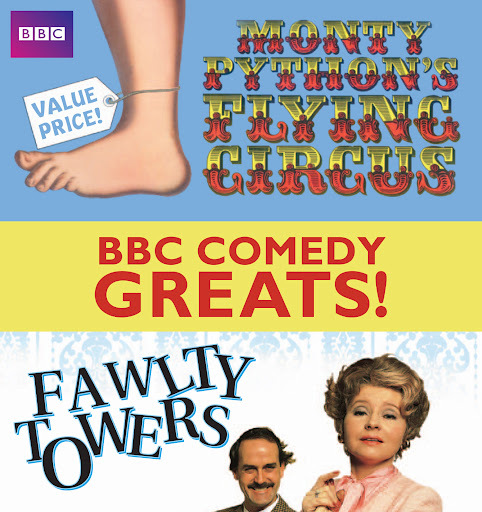 This particular collection contains nearly 6 hours of some classic comedy programming. So you can re-live those thrilling days of yesteryear. The best part is that they are still somewhat relevant and still very funny. This collection contains twelve of the greatest comedy shows ever broadcast during the golden age of radio. You’ll hear Ozzie and Harriet Nelson in The Adventures of Ozzie & Harriet, Freeman Gosden and Charles Correll as Amos ‘n’ Andy, Robert Young in Father Knows Best, Jim and Marian Jordan as Fibber McGee and Molly, William Bendix as Chester A. Riley in The Life of Riley, Lucille Ball in My Favorite Husband, Eve Arden as English teacher Connie Brooks in Our Miss Brooks, plus many others, including The Fred Allen Show, The Aldrich Family,The Great Gildersleeve, Life with Luigi, and Lum & Abner. Relive twelve of the best classic radio comedy shows from yesterday and hear the legendary stars who made them great in this incredible collection. Strap in folks, when you give this book a listen, you are going for a hilarious thrill ride down Joan Rivers’ completely non-PC hate list. There were several occasions during the listening of this audiobook where I was cringing from the non-politically correct statements, but also laughing out loud, especially when Joan was putting down the Kardashians, but that’s just me. There are very few comedians left that aren’t afraid to be politically incorrect. Joan’s humor used to be mainly self-deprecating but as she’s perfected her craft she’s pushed the “hate” outwards to other people. In Joan Rivers’ new book, “I Hate Everyone…Starting with Me,” she does hate everyone. This book is a good form a therapy, maybe not so much for Joan but for the listener. You can listen to this audiobook and let her do the complaining for you. No one is safe, from celebrities to the folks working fast food, Joan hates them all and gives some very good reasons. No one is safe, vegans (“God gave you incisors, so what’s the problem?”), Anne Frank (“She only had one book to write, and she didn’t even finish that.”), senior citizens, gays (but she loves her gays), Whitney Houston, Britney Spears, awards shows and more. In fact I don’t think there’s anything she doesn’t hate. After nearly five hours of listening time she ran the gamut of things to hate. I will admit that there were times where it would get a bit worn out, but just when I would start to groan or give up she’d be on another rant and cracking me up. So, definitely worth the listen, just don’t do it at work, she can get a racy with the language, and the “f-bomb” is dropped quite often in this book, as well as a few other harsh words. All in all, I think this book convinced me that Joan Rivers is not the has-been I thought she was, she still has it and isn’t afraid to spew it. OH MY GAWD!! I have never laughed out loud for so long in such a long time. This book is non-stop hilarity, in fact there was one time on my commute home from work, I had to pull the car over, and stop the audio, so I could catch my breath and clear the tears out of my eyes. All I can say is be warned, this book is so funny it hurts. Dave Barry and Alan Zweibel team up to write this story and each one plays a character in the book. I think the authors were about the only ones that could adequately have presented this book which is full of misunderstandings and misfortunes. So, as far as the narration of the book these guys knocked it out of the ball park. 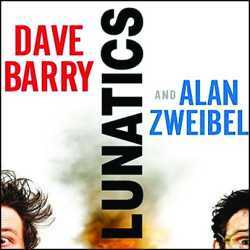 Barry and Zweibel are no strangers to comedy. Dave Barry wrote a weekly humor column from 1983 to 2004 and a few books. Alan Zweibel is an original Saturday Night Live writer and has won lots of Emmy Awards in television for his repertoire which includes; “It’s Garry Shandling’s Show,” “Monk,” and “Curb Your Enthusiasm.” Putting these guys together makes for one awesome dirty bomb of comedy. The book focuses on a foul-mouthed jerk and forensic plumber, yeah forensic plumber, Jeffrey Peckerman and the mild-mannered pet store owner, Phillip Horkman as their lives meet and clash and then create world peace, not without a few bumps along the way. I really am having a hard time trying to summarize this book because I don’t want to give too much away, It’s the surprises that add oomph to each comedic episode, but in order to do the book justice I will have to give you the gist of the story. 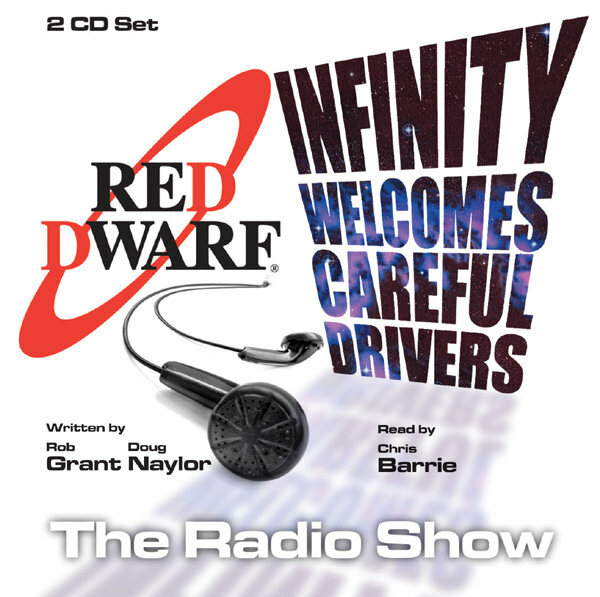 So be warned there are some spoilers but the trip along the way in the listening to this awesome audiobook is just as funny if not funnier than the final outcomes. The story starts out with Phillip Horkman refereeing a soccer game in which Jeffrey Peckerman’s daughter is playing. Horkman call’s Peckerman’s daughter offsides and the foul-mouth brute, Peckerman, makes sure he let’s everyone know his daughter was not offsides. Anyone who has attended a child’s sporting event, ever, has witnessed, at least once, one of these overzealous parents. We now jump a few days later and Peckerman’s wife calls and tells him her Oprah book club is meeting and asks him to pick up some wine. Peckerman sees a shop called “The Wine Store” and pulls in. Phillip Horkman is the proud owner of a petshop which he established with a loan from his in-laws. They insisted he name the shop after them since they loaned him the money, so now Horkman is running a pet shop called “The Wine Store.” Once Peckerman realizes there is no liquor in the place he begins screaming obscenities about who would ever mis-name a store. Horkman, who is in the back room attending to a sick canary, hears the voice, and recognizes the foul-mouthed creature behind it. He comes up front and eventually takes all the abuse he can and chases Peckerman out of the store with a baseball bat. Peckerman picks up a cage with a rare lemur in it to protect himself and runs away (keeping the lemur). This then starts a chain of events that lead to the New York Police department thinking Horkman and Peckerman are terrorists and are threatening to blow up the George Washington bridge with an insulin pump. Which then leads to them hijacking a cruise liner which is loaded with nudists, and take it to Cuba, and manage to lead rebels on to overthrow the Castro regime, they then are captured by Coast Guard Salamanders, much like Navy Seals, but the Salamanders don’t exist. On the Salamander sub, Peckerman suffers from explosive diarrhea which causes emergency evacuation. The two terrorists/revolutionaries sneak onto a ship headed to Somalia where they manage to stop pirates and land the ship full of bananas and stopping the police run government from keeping the food from the starving. Then the two are whisked away to Yemen where they cause peace between the Arabs and the Jews (peace in the Middle-East) then on to China and create a system of Democracy for the Chinese and then land in the Republican National Convention (back in the U.S.) where Donald Trump offers them a million dollars a piece if they can convince the Republicans to nominate Trump as their presidential candidate. The fun in this whole adventure is the fact that it is non-stop and yet the two, Horkman and Peckerman never know what they have done, only that the New York Police want them for shooting a police helicopter pilot in the scrotum. Non-stop hilarity that is brilliant in its delivery as well, in that it is told from both men’s point of view through and each one has a different opinion as to how to handle themselves. 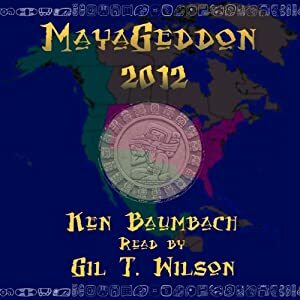 Trust me this is one audiobook that is worth any investment it takes to get your hands on. 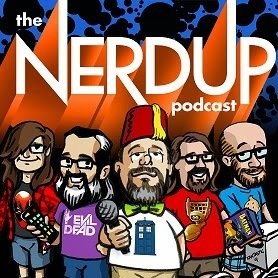 Looking for an hour of just pure laughs (and a few groans)? Check this out: HighBridge Audio has compiled a bunch of jokes from Old Jews Telling Jokes (http://www.oldjewstellingjokes.com) into a one hour audio collection. The audio is set up like a wrestling/match between the comedians with bells between rounds and an announcer introducing the contenders with some interesting nicknames all telling jokes trying to top each other or in some cases where a joke will remind another comedian of another joke and they snowball from there. This collection reminded me of some of my old family get-togethers where all the men were sitting around telling jokes and just having a fun time. Each time the jokes would be funny or you would groan and all would laugh and share good times. That’s pretty much how this comes off, just a bunch of old men having fun telling jokes. I will warn you some of the material is explicit but not enough to make you stop listening, just be careful as to who else may be listening in, it may not be appropriate for a younger audience, although some of these jokes were ones we told on the 5th grade playground and we would giggle madly then but may groan now in our older wiser years. The collection also includes jokes that have been phoned in from various sources that seem to be fans of the website oldjewstellingjokes.com. A couple of these left me wondering where the punchline was, but they were fun nonetheless. The topics of the jokes range from the old traveling salesmen jokes, plastic surgery jokes, marriage jokes, blonde jokes and lots of golf jokes. The whole audio collection kicks off with each comedian telling the first joke they can remember and from there the “Joke-Off” is off and running. This collection could be fun in one straight sitting or spread out when you need a quick chuckle. Definitely one to have around just for the fun of it. 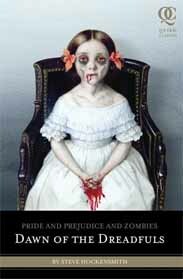 So you’ve read “Pride and Prejudice and Zombies” by Jane Austen and Seth Grahame-Smith, what next? I highly suggest following up with this novel, the prequel. The zombie smashing mashup that mixed the undead with Victorian primness was hilarious and yet a bit educational. Sure you were reading about zombies, but by golly, Jane Austen’s classic was still in there so you got some culture. This time around, though, there is no classic literature involved. I will give you a heads up in that this book still captures some of that same mood and writing involved in Jane Austen’s style. This time around there is a lot more humor. I know, humor and zombies, what is he talking about? Trust me, there are many laugh out loud moments. Let me first give the proper praises to the reader, Katherine Kellgren. She read/performed this book with the same Victorian delivery, trying to keep the culture in the story telling, but when it came to zombie howls and moans and the Bennet sisters’ battle cry, she delivered with uncanny realism. So while listening you feel high-brow until the carnage begins and the battles roar. Basically in the first book we learned that England has been over run by zombies, or rather the “unmentionables,” because no proper English person would ever speak the “Z” word. The Bennett sisters have been trained, like their father, in the “Deadly Arts.” They were trained int the fashion of Shaolin monks, with skills in the martial arts, katanas, nun-chuks, and throwing stars, in order to defeat the undead scourge sweeping the country. In this prequel we learn not only the hows but the whys of their training and of their prejudices in finding suitable men to marry. As the book opens the Bennett family is attending the funeral of a friend. All is quiet and solemn until the deceased rises from his coffin and begins to moan. Mr. Bennett, having fought the undead in the previous war, knows what is happening and more importantly knows what must be done. Ushering everyone, except his two oldest daughters out of the church, Mr. Bennett then begins the process of separating the unmentionable from his head. However he has his daughters do the dirty work so they can begin to be trained in what must be done because the zombies have returned. Returning home from the funeral and beheading of the zombie, Mr. Bennett reclaims his Dojo (Mrs. Bennett has turned it into a gardening shed, hanging tools from the various swords and arsenal), and begins the Bennett girls’ training in the Deadly Arts. At this time he also alerts the nearest officials that the zombies are back, and sends word back to his master that he needs someone to train his daughters. This book is full of fun and zombie smashing once the troops arrive. The troops are all very young boys led by a recently promoted captain who has no arms or legs. To make up for the lack of appendages he is wheeled around by some soldiers referred to as “Limbs.” When he needs to shake someone’s hand he orders, “Right Limb, shake that man’s hand.” This creates many comical moments. It also seems that the Captain and Mrs. Bennett have a history that works in some more fun. The troops are accompanied by a mad scientist. This mad scientist is out to catch a zombie and try to turn him back into a proper Englishman. The Bennett sisters begin their training once the Master arrives from the Far East, and during their training sessions there is more hilarity, especially having to deal with the different personalities of the sisters. The book leads up to Elizabeth Bennett’s coming out ball and a zombie invasion in which they all seem to be doomed. But knowing that this is a PREQUEL, you know the important characters survive, but you will be on the edge of your seat while listening to this supremely funny horror classic. I would have to say that this book is more fun than the first book but keep in mind the first one was a mashup in which Jane Austen’s writing was the basis.